Smart home devices are getting smarter with each iteration, and that goes for smart security tech as much as any other device category. Even devices that weren’t developed for security are branching out into home safety features. Given this development, the challenge for most potential consumers of smart home security technology isn’t a lack of options; it’s figuring out how to narrow down the choices and pick the best system for their home and family. If you’re a first-time smart home security shopper, this guide will help you get started. It’ll walk you through the steps to take as you browse, purchase, and install your ideal home security system. What are my biggest worries? What are my must-have security features? 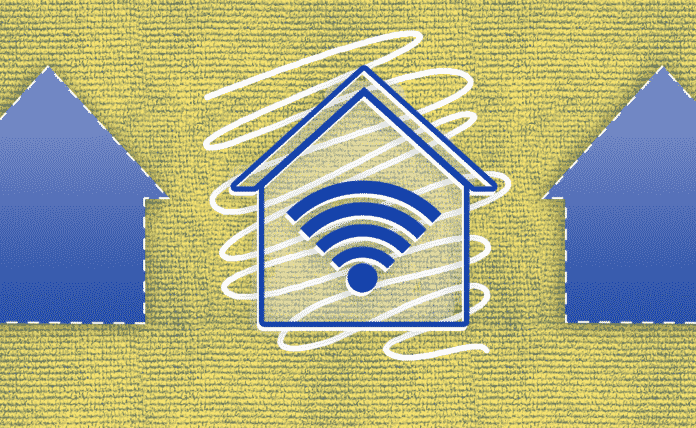 How interconnected do I need my home to be? What kinds of connectivity (WiFi, Bluetooth, etc.) do my devices use? How large is my home? Do I want someone to help professionally monitor my home? How long do I plan to live in my home? Your answers should indicate what your top security priorities are. For instance, if you often travel out of state for work and constant monitoring is important to you, you may want to sign a contract with a security company that will watch your home 24/7 and alert the authorities in case of a fire, break-in, or another emergency. If you work from home and your budget is limited, simple security measures might be sufficient to provide you with peace of mind. The important thing is that you customize your home security solution to your specific needs. A home security system is an investment, whether you make a one-time purchase or pay a monthly service fee. You need to decide on a comfortable price range. Many homeowners think of home security as an insurance policy: a plan you pay into for safety and peace of mind. In 2016, the FBI estimated there were more than 1.5 million burglaries in the United States, resulting in close to $3.6 billion in property losses, with an average loss per burglary of $2,361. A small monthly monitoring fee or equipment investment is often worth it to avoid those significant and headache-inducing losses—not to mention the feeling of security that’s hard to regain after a home invasion. As you determine your overall budget, be sure to figure in all expenses including activation fees, monthly subscription fees, and cancellation fees. If you enjoy investigating and customizing your own home tech solutions, the DIY route could be a good fit for you. Home security starter kits now offer a huge range of capabilities and options. You can mix and match components to meet your needs, but make sure all of the components operate on a single security protocol or standard. Many systems are straightforward to install—even without a lot of tech know-how. Built-in smart capabilities enable you to monitor everything on a mobile device, ranging from cameras to sensors, and motion detectors to lighting, and locks to thermostats. Doing the work yourself is usually more affordable, saving you installation costs and ongoing service fees. If setting up a system yourself feels like an unnecessary headache, you can opt for the ease of professional installation and management instead. A reputable security company will assume responsibility for setting up and maintaining your home protection solution. They’ll make representatives available to answer questions, install devices, and show you how to operate control panels and monitoring tools. Just make sure you compare different companies and their offerings before deciding. Readers of this smart home security guide would be misled in thinking that buying more and more tech will increase security. It’s tempting to spring for all the bells and whistles, but do you really need them? Go back to your list of priorities. Select the features that accomplish your personal goals. Begin with a basic system and add what’s missing—not the other way around. For example, start with door and window sensors, outdoor security cameras, a central control panel, and a key fob, and then upgrade with additional smart home controls only as you need them. The installation process varies greatly from system to system. Make sure you know what you are signing up for—including any fees—before you make a purchase. Are you opting for a traditional home security system with some wired elements or something else? A technician will likely have to come to your home to drill holes and physically set up your new system. Are you choosing a totally wireless system to install yourself? You will need to understand how to position elements like sensors and cameras, as well as activate your central app or control panel and calibrate those sensors. Once your home security system is up and running, it shouldn’t require too much day-to-day maintenance. It is important, however, to check in on it occasionally and make sure it’s still meeting your needs. Most security professionals recommend examining and testing the system roughly once per month. Ask yourself a few questions as you check the system: Are you receiving the alerts, responses, and services you’re paying for each month? Do all of the features function properly? Have your home security requirements changed at all? Do you need to update your passwords or any equipment? Be mindful of how your system operates, and make upgrades as necessary. You have a multitude of choices when shopping for a home security system. Take the time to define your preferences in advance, and you’ll be able to make a confident and well-informed decision. 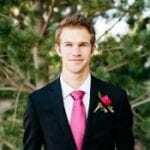 Alec Sears graduated from Brigham Young University in public relations and business management. He is a digital journalist who specializes in the business applications of artificial intelligence and the internet of things. He now lives in the Silicon Slopes of Utah with his wife.